Important: ALWAYS confirm with sponsoring organizations before attending. Previous month and latest month. Use Ctrl+ to increase font size. November 1, 8, 15, 22, 29, Thursdays, 3pm-7pm. Dufferin Grove Organic Farmers Market. Quote: "Local farmers (small farms from southern Ontario) sell their organically-grown products, including fruits, vegetables, herbs, and breads. Runs all year. Access to the produce farm stands is from the south/side entrance facing the park (not through the main entrance facing the mall)." - Urban Harvest: 100% certified organic and heirloom seeds, seedlings and garden supplies. - Forbes Wild Foods: Fruits, mushrooms, vegetables, syrups, vinegars and dry goods. - Plan B Organic Farm CSA: Organic vegetables, fruits & herbs. - Kind Organics: Organic salad blends with herbs & edible flowers, sprouts, micro-greens, baby greens and wheatgrass. - Niagara Lavender Farm: Organic tree fruits, berries, and lavender. Certified organic. Niagara on the Lake. - Culture City: Black Bean Tempeh, Soy Tempeh, Soy Natto, Black Bean Natto. Locally made, organic bean, foodstuff. - Floralora Flowers: Locally grown flowers and foliage for bouquet subscribers, market goers, florists and special event planners. Prince Edward County, Ontario. November 1, Thursday, 6:30pm. Free. Toronto Philosophy Meetup: The Gettier Problem. Location: Brookfield Place, Lower Level Food Court, 181 Bay St, Toronto. Quote: "The Gettier Problem, named in honour of the American philosopher Edmund Gettier who discovered it in 1963, is one of the most famous and significant problems in 20th-century philosophy. The problem refers to actual or possible situations that challenge the long-standing view that knowledge is justified true belief. In these situations, someone has a belief that is both true and well-supported by the evidence, yet which, according to almost everyone, fails to be knowledge." November 3, Saturday, 10am-4pm. Free. Really Really Free Market Toronto. Usually the first Saturday of each month. Quote: "Really Really Free Market, ... @ Campbell Park, 195 Campbell Avenue (10 minute walk from Landsdowne Station). No money. No barter. No trade. Everything is free. If you wish to make a contribution, remember: a) although we're open until 4pm, we can't accept any new items after 3pm b) please only bring items that are clean and in working condition c) we can't accept furniture and other large items, unless you leave your contact info and are available to pick up your large item(s) if it's not taken by the end of the market. No baby car seats, please. We do have a one-shopping-cart/person and two-shopping-carts/family limit; but after 3 pm., you may take a carload if you wish! Any questions?--please write to rrfmarket@gmail.com. (Do not direct reply to this post.) Hope to see you there." November 3, 2018, Saturday, 6pm-8pm. PYOW. Richmond Hill Vegans Meetup - Vegan Sushi Meetup. Quote: "• What we'll do... Meet and eat some delicious vegan sushi. All are welcome whether you are vegan, vegetarian, curious meat eater and everything in between. I would just like to ask that everyone order vegan. Important to know... Just a reminder that this is a vegetarian restaurant so not everything is vegan. Zhan W."
November 4, 2018, Sunday, 11am-4pm. Free. Bare Market Pop-Up. November 4 Location: Eco Fair at the Barns, Wychwood Barns. Quote: "At Bare Market, we’re on a mission to help you reduce waste. As Toronto’s first one-stop shop for package-free goods, we offer affordable and locally sourced bulk food, body and home care products that are good for you and good for the planet! What’s our aim? To make sustainable and ethical living easy and accessible for people from all walks of life. To pass the Bare test, packaging should NOT be designed to end up in the dump. No, we don’t expect you to carry your olive oil and lentils home in the palms of your hands! What we mean by package-free is that our store is free from any single-use (or made-for-the-landfill) containers. Specifically, we do not carry or sell products that come in packaging that cannot be reused or composted. Need a simpler option? Use one of our donated containers for free or participate in our container-lending program for a small, 100% refundable deposit." November 4, 2018, Sunday, 2pm. Tentative. Free. RSVP. TVA Vegan Baking Group - Vegan Donuts Meet Up. November 4, 2018, Sunday, 4pm-6pm. Free. Green Neighbours 21 Environmental Group - EcoFair at the Barns Free Film - “Just Eat It: A Food Waste Story”. Location: Artscape Wychwood Green Barn, 601 Christie St, between Wychwood Ave and Christie St, 2 blocks south of St Clair Ave West. Quote: "The 10th Annual EcoFair at the Barns is proud to present a FREE screening of "Just Eat It: A Food Waste Story." The film will be shown in the Theatre at Artscape Wychwood Barns at 4pm. There will be a short introduction by Belinda Li, Director of Innovation of Food System Lab. You can stay after the film for a short Question and Answer period with Belinda if you are interested in learning more about food waste. Seating is stadium style with limited chair seating. Wychwood Theatre is fully accessible. About the film: Filmmakers and food lovers Jen and Grant dive into the issue of food waste from farm, through retail, all the way to the back of their own fridge. After catching a glimpse of the billions of dollars of good food that is tossed each year in North America, they pledge to quit grocery shopping and survive only on discarded food. What they find is truly shocking. Admittance is on a first come first serve basis for guests who have reserved tickets through Event Brite. Please try to arrive earlier to get seats. The screening is hosted by EcoFair at the Barns, which will take place at Artscape Wychwood Barns from 11am to 4pm on Sunday Nov 4, 2018. EcoFair at the Barns is a free, fun, family-oriented event that informs and inspires people to make greener choices in their homes and communities. Enjoy a wide range of environmental groups and eco-friendly vendors, interactive activities for both kids and adults, electric car test drives, a renewable energy walk, great food and more! For details about the EcoFair visit www.EcoFairToronto.org. EcoFair at the Barns is co-hosted by Green Neighbours 21 and Transition Toronto, and is sponsored by Meridian Credit Union. The film this year is sponsored by CoPower." November 5, 12, 19, 26, Mondays, 3pm-7pm. Sorauren Park Farmers Market. Year round. - Earth & City: Local organic vegetable gardening & vegan mostly raw sweet and savoury food. - The Cutting Veg CSA: Organic vegetables, herbs, garlic. November 6, 2018, Tuesday, 10am-3pm. Free. Bare Market Pop-Up. November 6 Location: Wellness Fair at Providence Healthcare, 3276 St Clair Ave East, Scarborough. November 6, 2018, Tuesday, 6pm-8pm. Free. Toronto Philosophy Meetup: The Future of Homo Sapiens (Centre for Human Success Event). Tentative Location: WeWork Richmond Street West, 240 Richmond St West, Toronto. This event is organized by the Centre for Human Success Meetup (https://www.meetup.com/The-Centre-for-Human-Success-Toronto-Meetup) and co-hosted with the Toronto Philosophy Meetup. The Centre for Human Success is a Toronto-based community (and registered nonprofit) focused on sparking a discussion around the really big issues (AI, human enhancement, technological unemployment, climate, etc. ), and to ask the question: What does success look like this century? What kind of world do we want to build? If you like discussing the future and where technology is taking us, join us here: https://www.meetup.com/The-Centre-for-Human-Success-Toronto-Meetup." November 8, 2018, Thursday, 2:40pm-3:20pm. Free. Bare Market Pop-Up. November 8 Location: Panelist (no pop-up) at Zero Waste Conference Toronto Satellite (https://www.eventbrite.ca/e/zero-waste-conference-toronto-tickets-50878771776). November 8, 15, 22, 29, Thursdays, 3pm-7pm. Dufferin Grove Organic Farmers Market. Quote: "Local farmers (small farms from southern Ontario) sell their organically-grown products, including fruits, vegetables, herbs, and breads. Runs all year. Access to the produce farm stands is from the south/side entrance facing the park (not through the main entrance facing the mall)." November 8, Thursday, 6:30pm-8:30pm. Free. Toronto Philosophy Meetup: John Rawls: "The Good of Justice". Tentative Location: Brookfield Place, Lower Level Food Court, 181 Bay St, Toronto. Quote: "John Rawls is a giant of twentieth-century moral and political philosophy. We are continuing our read through his magnum opus A Theory of Justice (Revised Edition) with Chapter IX, titled "The Good of Justice". We've made it to the end of the book! Please read as much of the chapter as possible in advance (67 pages in total) and we will discuss it together. A bio from the Internet Encyclopedia of Philosophy: John Rawls was arguably the most important political philosopher of the twentieth century. He wrote a series of highly influential articles in the 1950s and ’60s that revitalized Anglo-American moral and political philosophy. His first book, A Theory of Justice (1971), salvages the social-contract tradition, using it to articulate and defend a detailed vision of egalitarian liberalism. In Political Liberalism (1993), he recast the role of political philosophy, accommodating it to the effectively permanent “reasonable pluralism” of religious, philosophical, and other comprehensive doctrines or worldviews that characterize the populations of modern societies. He explains how philosophers can characterize public justification and the legitimate, democratic use of political power while accepting that pluralism. The Law of Peoples (1999) extends these theories to liberal foreign policy, with the goal of imagining how a permanently peaceful and tolerant international order might be possible. John Rawls has the unusual distinction among contemporary political philosophers of being frequently cited by courts of law in the English-speaking world." Past Location: Ryerson University, POD 372, 350 Victoria St, Toronto (https://www.ryerson.ca/maps/). November 8-22, 2018. Free. Annual European Union Film Festival. Film Festival of the European Union Consulates and Cultural Institutes in Toronto. Main Location: Royal Cinema, 608 College St, between Grace St and Carlton St. Quote: "Entrance on a first come, first serve basis - Ticket distribution will begin one hour before each screening - One ticket per person - Save your ticket stub to vote for the Audience Award after the screening - All films 18 and over, subtitled in English unless noted." November 9, 2018, Friday, 7pm-10am. $5/PYOW. Toronto Vegan Meetup: CashFlow 101 Boardgame Social for Vegans. Location: Parka Food Co, 424 Queen St West, Toronto. Quote: "Let's play and learn about handling money while enjoying some delicious vegan food. This event is for any one interested in learning more about money, real estate and investments, in the easiest way, the way of the game. This is a Foundational Game to help start you off on a powerful journey to true financial independence and wisdom. Where you will learn how to get the most out of each time you play and maximize your financial growth and development! Investing is a skill most can’t learn from a book. The alternative of learning in the ‘real world’ could prove costly. You need to first understand your own behaviour. CASHFLOW 101 was created as a fun, powerful, and experiential way to teach investing and wealth building. Manage assets and liabilities, trade stocks and fight your way out of the Rat Race." November 10, Saturday, 11am-1pm. Free. HAT Weekly Discussion Forum - Topic: What's Happening with Free Speech? Quote: "An editor is given little choice but to resign after deciding to publish an article by Jian Ghomeshi. Steve Bannon is disinvited from a conference event after outcry and “pull out” threats from attendees and other invitees alike. Unpopular speakers are drowned out by protesters within venues. Are these examples of threats to Free Speech or others using their free speech to enact consequences on those with views seen as “beyond the pale“? What are the responsibilities of various groups to police speech - the media? social media companies? corporations? universities? governments? This evergreen topic emerges once again to spark our consideration." Location: 519 Community Centre, 519 Church St, north of Wellesley St East, Toronto, ON M4Y 2C9. November 11, Sunday, 11am-5:30pm. Free. Bare Market Pop-Up. November 11 Location: Patagonia Toronto, 500 King St West. November 11, Sunday, 6pm-9pm. Free. Toronto Philosophy Meetup: Short Stories by Alice Munro. Quote: "This meetup is dedicated to discussing four of Munro's short stories: — "Miles City, Montana" (21 pages) — "A Wilderness Station" (30 pages) — "Differently" (25 pages) — "The Albanian Virgin" (41 pages) A collection containing the stories can be viewed and downloaded here - https://www.box.com/s/eo1b5xwglp14gu9f833m183f419epgpf Please read the stories in advance of our discussion. (See the following for some background on Alice Munro: https://literature.britishcouncil.org/writer/alice-munro and https://www.nobelprize.org/prizes/literature/2013/munro/auto-biography)." November 12, 19, 26, Mondays, 3pm-7pm. Sorauren Park Farmers Market. Year round. November 15, 22, 29, Thursdays, 3pm-7pm. Dufferin Grove Organic Farmers Market. Quote: "Local farmers (small farms from southern Ontario) sell their organically-grown products, including fruits, vegetables, herbs, and breads. Runs all year. Access to the produce farm stands is from the south/side entrance facing the park (not through the main entrance facing the mall)." November 15, Thursday, 6:30pm-9pm. Free. Toronto Philosophy Meetup: Karl Popper on the Scientific Method. Quote: "Karl Popper (1902-1994) is a towering figure in the philosophy of science. He made significant contributions to debates concerning scientific methodology and theory choice, the demarcation of science from pseudo-science, the nature of probability and quantum mechanics, and the methodology of the social sciences. His work is notable for its wide influence both within philosophy and among practicing scientists themselves. Popper is famous for his uncompromising rejection of the classical inductivist view of the scientific method in favour of empirical falsificationism. A scientific theory can never be proven, but it can be falsified, meaning that it can and must be scrutinized by decisive experiments. Popper's general epistemology, critical rationalism, commends the Socratic method of posing questions and critically discussing the answers offered. He considers knowledge in the traditional sense of certainty to be unobtainable. In political philosophy, Popper is known for his vigorous defence of liberal democracy and the principles of social criticism that he came to believe made a flourishing open society possible. His political philosophy embraces and attempts to reconcile ideas from all the major democratic ideologies. Since we have no infallible way of getting or maintaining good government, a prudently constructed open society constructs institutions to ensure that any regime can be ousted without violence, no matter what higher ends it proclaims itself to be seeking. *** This meetup is dedicated to discussing two of Karl Popper's essays on how science actually works: — "The Aim of Science" (1957) — "The Problem of Demarcation" (1974) A volume containing the pieces can be viewed and downloaded HERE - https://www.box.com/s/tgqzgwlkw4qc7l7glnibchza8l0b1gjn Please read as much of the essays as possible in advance — each essay is about 10 pages in length." November 15, 2018, Thursday, 7pm-9pm. PYOW. TVA Toronto Dinner Social Group: Dinner at Coco Rice. Location: Coco Rice, 669 King St West, Toronto. Quote: "Please join us for lively conversation and delicious food at our upcoming dinner. All members and non members, veg, vegan and transitioning are welcome. Please RSVP by the Wednesday before each event at: tvadinner(at)veg.ca or by phone: 416-544-9800." November 16, 2018, Friday, 8pm-11pm. $5/PYOW. Toronto Vegan Meetup: Toronto Vegan Drinks. Location: Parka, 424 Queen St West, Toronto, M5V 2A7. Quote: "Hosted by Beverly... Vegan Drinks is a monthly social networking event for people interested in veganism. You don't have to be a vegan to come along, but please eat and drink only vegan-friendly fare at this event. Come have fun after work with fellow vegans and make new friends through networking! Since this is the halloween version, there will be prizes for the best costume. So Dress up! What to do? • Show up. Buy drinks. Buy food if you are hungry. Socialize. It is so simple, yet so effective. There is no cover charge. But I will be collecting donations (suggested: 2-5$). - This is because the meetup costs 180$ to run. • Be friendly! We will hand out name tags, so you can march right up to someone and greet them by name. • Promote! If you represent an organization (either as an employee or volunteer or general supporter), talk about the organization and the work you've been involved in. • Socialize! Talk about your vegan and Animal Rights interests, your favourite restaurant, your dream job for animals, your blog, whatever. If you have any questions, please email beverlycarey68@gmail.com"
November 16, Friday, 7pm. Free. The Association for Science and Reason (Skeptics Canada) - Monthly Meetup. Location: Fox and Fiddle, 27 Wellesley St East, east of Yonge St, Toronto. Quote: "Toronto Skeptics in the Pub Event: Check back later to see what is happening this month. We may have a speaker, or maybe we will just have a free and open discussion. In any case we will have a nice, enjoyable time with a friendly group of skeptically minded people. We'll be at our usual venue, the Fox and Fiddle, just across from Wellesley Subway station. To find us, tell the wait staff you are looking for the Skeptics. We should be on the 3rd Floor. The Association for Science and Reason (formerly Skeptics Canada) ( http://www.scienceandreason.ca ) has opened its regular monthly dinner to interested Meetup members, and it has been a lot of fun. Heated discussion, hot food, good company--a great way to spend the evening without losing I.Q. points. As usual, don't be put off by the small number of people signing up through Meetup. Most of the regulars do not respond, they just show up. We typically have between 30 and 50 attendees." November 16, 23, 30, Fridays, 7pm. Free. CINSSU Free Friday Film - Grease 2 (1982). Location: Innis College Town Hall, 2 Sussex Ave, St George St, one block north of Hoskin Ave, 1 block south of Bloor St West. November 17, 2018, Saturday, 11am-3pm. Free. TVA Members only. TVA Members' Exclusive Shop Party at Wuxley Movement. Location: Wuxly Movement, 884 Queen St West, Rear Unit X, between Crawford and Trinity Bellwoods Park, Toronto, Ontario M6J 1G3. Quote: "On Saturday, November 17th TVA members will be invited to a shop party at Wuxley Movement's new office and showroom (formerly Wully Outerwear) from 11 am to 3 pm. During this event you will receive a tour, exclusive discounts for TVA members, and vegan food and refreshments. You must bring and present your Toronto Veg Card as proof of TVA membership." November 17, Saturday, 5pm-7pm. Free. Toronto's Cafe Skeptique - BAD IDEAS. Free speech, false claims, and undeserved debates.. Location: Free Times Cafe, 320 College St, between Major St and Robert St, west of Spadina Rd. Quote: "Toronto's Cafe Skeptique is a fun and fascinating discussion group that focuses on a range of topics within the realm of skepticism such as pseudo-science, alternative medicine, conspiracy theories, etc. It's open to the public and everyone is welcome to join in! Normally held every THIRD Saturday of the month at 5:00 p.m., at Free Times Cafe, 320 College St. just west of Spadina Ave. Exceptions will be posted clearly when they apply." November 18, 2018, Sunday, 2pm. Free. Lost River Walk - Wonscotonach. Led by John Wilson and friends. Start: Corner of Mill St. and Bayview Ave. Quote: "The Lower Don River is always changing: As the Queen St. bridge translates Heraclitus, “The river I step in is not the river I stand in.” We will explore the changes, hydrological, biotic, mechanical and artistic, shaping this well-traveled part of downtown’s liminal Core Circle and examine opportunities to expand Wonscotonach Parklands, a name for the Don that settlers assumed from the Mississaugas. This linear 2.5 km walk includes some uneven ground. John Wilson leads with friends. Meet at the corner of Mill St. and Bayview Avenue, a short distance east of the Distillery District streetcar loop." Toronto Green Community - Lost River Walks: 416-781-7663, info(at)torontogreen.ca, http://www.torontogreen.ca, http://www.lostrivers.ca/WalkSchd.htm . November 18, 2018, Sunday, 6pm-8pm. Free. Toronto Philosophy Meetup: Short Essays on Ethics . This meetup we will examine these short essays by contemporary moral philosophy professors that directly tackle paramount philosophical issues.."
November 19, 26, Mondays, 3pm-7pm. Sorauren Park Farmers Market. Year round. November 20, Tuesday, 7:30pm-9:30pm. Free. Public 2018 J. Tuzo Wilson Public Lecture - Exoplanets and the Search for Habitable Worlds. Speaker: Dr. Sara Seager, Professor of Physics and Planetary Science, MIT. Quote: "Refreshments afterwards. Free public lecture sponsored by the Department of Physics, University of Toronto." November 22, 29, Thursdays, 3pm-7pm. Dufferin Grove Organic Farmers Market. Quote: "Local farmers (small farms from southern Ontario) sell their organically-grown products, including fruits, vegetables, herbs, and breads. Runs all year. Access to the produce farm stands is from the south/side entrance facing the park (not through the main entrance facing the mall)." November 22, Thursday, 6:30pm-9pm. Free. Toronto Philosophy Meetup: John Stuart Mill: Utilitarianism (Week 2). Quote: "This is the second of two meetups dedicated to Mill's Utilitarianism, a now fundamental text in the study of ethics and one of the most important philosophical statements of the utilitarian worldview. In it, Mill defends the consequentialist doctrine that the morally-worthy action is the one producing the greatest amount of happiness in the world. Mill also responds to a wide range of criticisms and (what he took to be) misunderstandings of utilitarianism, such as: it is a doctrine worthy only of swine, it is too demanding, it fails to recognize that happiness is subjective or unobtainable, it makes people cold and unsympathetic, it is a godless ethics, it fails to recognize that in making ethical decisions there usually isn’t time to calculate all the future consequences, and so on. This week we will be discussing Chapter 4 ("Of What Sort of Proof the Principle of Utility is Susceptible") and Chapter 5 ("On the Connection Between Justice and Utility") of Utilitarianism. A volume of J.S. Mill's writings can be viewed and downloaded HERE - https://www.box.com/s/h9h37ancinovyazd1mpkor8iqgxhulyy (the reading is on pages 248-285) ... Please read the chapters in advance of our discussion. *** (See the following articles for further background information on John Stuart Mill - https://plato.stanford.edu/entries/mill/ or https://www.iep.utm.edu/milljs/ )." November 23, 30, Fridays, 7pm. Free. CINSSU Free Friday Film - Hairspray (1988). Location: Innis College Town Hall, 2 Sussex Ave, St George St, one block north of Hoskin Ave, 1 block south of Bloor St West. November 25, Sunday, 11am-5:30pm. Free. Bare Market Pop-Up. November 25, 2018, Sunday, 11am-5pm. $5? TVA Holiday Market at Wychwood Green Barn. Location: Wychwood Green Barn, 601 Christie St, between Wychwood Ave and Christie St, 2 blocks south of St Clair Ave West. Quote: "An indoor holiday market showcasing an array of vegan foods, crafts and ethical goods geared towards cruelty-free gifting. In addition to holiday shopping, there will be a kids activity area too, as well as edibles for immediate consumption." - 12n-12:45pm: Julie Skirving - Thoughtful gifts for the low-waste people in your life. - 1pm-1:45pm: Mark Monachino - Holiday nutrition and motivation for veg athletes. - 3pm-3:45pm: Marco Pagliarulo - Vegan survival tips for the holiday season. - 4pm-4:45pm: Richa Gupta - Spice up you vegan holiday meal. November 26, Mondays, 3pm-7pm. Sorauren Park Farmers Market. Year round. November 27, Tuesday, 4pm-6pm. Free. Toronto Philosophy Meetup: Deep Fakes, Deep Harms (Centre for Ethics Event). Location: Room 200, Larkin Building, University of Toronto, 15 Devonshire Place. Quote: ""Imagine that an online video appears, showing you doing or saying something you would never do. You know it is fake, but not everyone believes you. This scenario may soon be possible, thanks to the use of machine learning to fabricate convincing video and audio recordings, so-called ‘deepfakes’. We look ahead to the dangers of this technology, distinguishing the variety of ways it can harm or wrong people: material, reputational, and existential." Regina Rini, Professor of Philosophy York University https://reginarini.net/ *** NOTE: This is a talk and Q&A presented by the University of Toronto's Centre for Ethics that is open to the public. The Toronto Philosophy Meetup is not affiliated with the Centre although we will be in attendance. Sometimes we meet after the event for further discussion about the topic if people are interested.."
Past Locations: Ryerson University, POD 372, 350 Victoria St, Toronto (https://www.ryerson.ca/maps/) | Brookfield Place, Lower Level Food Court, 181 Bay St, Toronto. November 28, Wednesday, 7pm-9pm. Free. Green Neighbours 21 Environmental Group - Living without plastic. Location: St. Matthew’s United Church, Oakwood Room, 729 St Clair West, one block west of Christie St, enter from Rushton Rd. (map). Let's get together and explore our own and collective zero-plastic possibilities." Previous Locations: Artscape Wychwood Green Barn, 601 Christie St, between Wychwood Ave and Christie St, 2 blocks south of St Clair Ave West. St. Michael and All Angels church, SE corner St Clair and Wychwood, enter off Wychwood, through wooden gate, up to 2nd floor. November 29, Thursdays, 3pm-7pm. Dufferin Grove Organic Farmers Market. Quote: "Local farmers (small farms from southern Ontario) sell their organically-grown products, including fruits, vegetables, herbs, and breads. Runs all year. Access to the produce farm stands is from the south/side entrance facing the park (not through the main entrance facing the mall)." November 29, Thursday, 6:30pm-9pm. Free. Toronto Philosophy Meetup: Kant: Groundwork of the Metaphysics of Morals (Week 1). Quote: "Published in 1785, Immanuel Kant's Groundwork of the Metaphysics of Morals is one of the most profound and influential works of moral philosophy ever written. The work aims to properly identify and corroborate the fundamental principle of morality, the categorical imperative, so as to prepare the way for a coherent and comprehensive account of justice and human virtues (which was later published in 1797 as the Metaphysics of Morals). Here, Kant argues that all human beings have equal dignity as ends in themselves, never to be used by anyone merely as a means, and that universal and unconditional duties must be understood as an expression of the human capacity for rational autonomy and self-governance. As such, laws of morality are laws of freedom. Along the way, Kant expounds on such concepts as duty, the good will, moral worth, the ideal community constituted by all rational beings, and freedom of the will. *** For this series we will be discussing the entirety of the Groundwork of Metaphysics of Morals over three meetups. Our reading plan is as follows: Week 1 (CURRENT) - Preface and Section I ("Transition from common to philosophical moral rational cognition") Week 2 - Section II ("Transition from popular moral philosophy to the metaphysics of morals") Week 3 - Section III ("Transition from the metaphysics of morals to the critique of pure practical reason") A good translation of the text is available in a volume that can be downloaded HERE - http://pdf.to/bookinfo/practical-philosophy_2.pdf (The Groundwork starts on page 37.) Please read the text in advance of our discussion — the reading for each week is about 25 pages." November 30, Fridays, 7pm. Free. CINSSU Free Friday Film - The Wizard of Oz (1989). Location: Innis College Town Hall, 2 Sussex Ave, St George St, one block north of Hoskin Ave, 1 block south of Bloor St West. December 1, Saturday, 10am-4pm. Free. Really Really Free Market Toronto. Usually the first Saturday of each month. Quote: "Really Really Free Market, ... @ Campbell Park, 195 Campbell Avenue (10 minute walk from Landsdowne Station). No money. No barter. No trade. Everything is free. If you wish to make a contribution, remember: a) although we're open until 4pm, we can't accept any new items after 3pm b) please only bring items that are clean and in working condition c) we can't accept furniture and other large items, unless you leave your contact info and are available to pick up your large item(s) if it's not taken by the end of the market. No baby car seats, please. We do have a one-shopping-cart/person and two-shopping-carts/family limit; but after 3 pm., you may take a carload if you wish! Any questions?--please write to rrfmarket@gmail.com. (Do not direct reply to this post.) Hope to see you there." December 2, Thursday, 6pm-9pm. Free. Toronto Philosophy Meetup: Christine Korsgaard: "Aristotle and Kant on the Source of Value". Location: Brookfield Place, Lower Level Food Court, 181 Bay St, Toronto, ON. Quote: "What do we mean when we say that something has value or significance? Is value a matter of objective truth or is it "in the eye of the beholder"? It's both (and neither), argues Christine Korsgaard, a professor of philosophy at Harvard University, in her 1986 paper "Aristotle and Kant on the Source of Value". Influenced by Immanuel Kant and by her teacher John Rawls, she sketches a middle way about value that she calls rationalist theory (not to be confused with the rationalism of Descartes, Spinoza, and Leibniz). According to Korsgaard's rationalism, sometimes also called constructivism, values arise out of the human activity of practical reasoning. Values are practical reasons that we give to ourselves and to each other about the ultimate ends of life. Korsgaard goes on to show that both Kant and Aristotle are rationalist in her sense, though they differ in the kind of rational activity they see as ultimately good: contemplation for Aristotle and the good will for Kant. A bit about the author. Christine Korsgaard is an influential American moral philosopher. A student of John Rawls, she carried forward his approach to morality through research in metaethics and the history of moral philosophy. In 2002 she became the first woman to give the prestigious John Locke Lectures at the University of Oxford. Our goal in this meet-up is to understand Korsgaard's rationalist theory of value and to learn something about the way Aristotle and Kant understood what is good in life. We'll ask such questions as: What is the nature of value? What are we really doing when we use our reason to think about and discuss questions of value? Can there really be a middle way between objectivism and subjectivism? What is philosophical contemplation and is it more or less valuable than morally good action? What is the best activity in human life? No prior background in philosophy is required. Just bring yourself and your critical thinking — and please read as much of the paper as you can. The text is difficult and we'll do our best to unpack it together. The paper "Aristotle and Kant on the Source of Value", first published in the journal Ethics in 1986, is freely available at this link: https://dash.harvard.edu/bitstream/handle/1/3164347/korsgaard_aristotlekantvalue.pdf?sequence=5 Also helpful is the Stanford Encyclopedia of Philosophy entry on constructivism in metaethics, especially the sections on Kant and Aristotle: https://plato.stanford.edu/entries/constructivism-metaethics/." December 3, Monday, 6pm-9pm. RSVP Required. TVA Volunteer Holiday Party at Disgraceland. Location: Disgraceland, 965 Bloor St West. Quote: "All active volunteers (those who have volunteered in the past year) are invited to a holiday party on Monday, December 3rd, at Disgraceland (965 Bloor Street West) from 6:00 to 9:00 pm. Space is limited so you must RSVP by Monday, November 29th. Holiday Gift Swap: We're bringing back the popular holiday gift swap! If you'd like to participate, please bring your favourite store-bought, non-perishable vegan product or product from your favourite plant-based business (value $8-$12). Please make sure to bring your item WRAPPED. You are not obligated to participate in the gift swap if you prefer not to. RSVP by November 29th to volunteer@veg.ca.". December 5. 2018, Wednesday, 6:30pm. Free. TVA's Durham Veg Group: Monthly Meeting. December 5 Location: Chef Tommy's Authentic Greek Cuisine, 1320 Simcoe St N, Oshawa, ON L1G 4X4, Phone: (905) 576-6003. Quote: "Dinner starts at 6:30 pm. please join us, we love chatting with like minded people. RSVP by emailing durham(at)veg.ca or by filling out the form on the right. We kindly request that you honor your RSVP to avoid over or under booking the restaurants." December 6, Thursday, 6:30pm-9pm. Free. Toronto Philosophy Meetup: Kant: Groundwork of the Metaphysics of Morals (Week 2). Location: West Toronto Masonic Temple, 151 Annette St, Toronto. Quote: "Week 2 (CURRENT) - Section II ("Transition from popular moral philosophy to the metaphysics of morals") A good translation of the text is available in a volume that can be downloaded HERE - http://pdf.to/bookinfo/practical-philosophy_2.pdf (The Groundwork starts on page 37.) Please read the text in advance of our discussion — the reading for each week is about 25 pages. *** Additional resources: Immanuel Kant is widely regarded as the philosopher who best exemplifies the thought and ideals of the Enlightenment. He was influenced by the modern physics of Newton, the rationalist perfectionism of Leibniz and Wolff, the critical empiricism of Locke and Hume, and Rousseau's celebration of liberty and individualism, and his work can be seen partly as an attempt to combine and synthesize these various ideas. For a quick-and-dirty backgrounder on Kant, see the following - - https://thegreatthinkers.org/kant/introduction/ - https://www.iep.utm.edu/kantview/ Two popular book-length introductions to Kant's philosophy can be downloaded here - - http://pdf.to/bookinfo/kant_194.pdf and - http://pdf.to/bookinfo/kant-a-very-short-introduction-very-short-introductions.pdf A beginner-friendly interview with Oxford professor Adrian Moore on Kant - https://fivebooks.com/best-books/kant/ See here for an overview of issues pertaining to Kant's meta-ethics - https://plato.stanford.edu/entries/kant-moral/ An overview of Kant's social and political philosophy - https://plato.stanford.edu/entries/kant-social-political/"
December 7, 2018, Saturday, 7pm-9pm. PYOW. Richmond Hill Vegans Meetup - Friday Meet and Greet @ Vegan Danish Bakery. Quote: "Our next meetup will be at the Vegan Danish Bakery. One of the best bakeries in the cities and it just happens to be all vegan! The seating limit here is 30, so that is what I have set the limit at. Can't wait to see again/meet everyone who can make it. Zhan W."
December 8, 2018, Saturday, 1pm-4pm. TVA Holiday Book & Bake Sale and Open House. Location: 17 Baldwin St, west of McCaul St, NW of St Patrick station. Quote: "Enjoy some sweet savings at TVA’s annual Holiday Sale and Open House. Come and meet members of the Toronto Vegetarian Association’s Board of Directors, indulge in treats at our vegan bake sale, and pick up holiday gifts from our Vegetarian Bookstore." December 9, Sunday, 11am-5:30pm. Free. Bare Market Pop-Up. December 9 Location: Patagonia Toronto, 500 King St West. December 9, Sunday, 2pm-4pm. Free. Toronto Philosophy Meetup: Plato's Apology, on the Examined Life (Toronto Freemason Event). Quote: "The Apology by Plato is an account of the famous trial of Socrates, who was charged in 399 BC with impiety and corrupting the youth. One of the most famous and important works of Western philosophy, the Apology is less concerned with asserting any particular philosophical doctrine than it is with creating a portrait of the ideal philosopher. On trial, with his life at stake, Socrates maintains his cool and unwaveringly defends his way of life as unassailably just. He explains why he has devoted his life to challenging the most powerful and important people in the Greek world. The reason he says is that rich and famous politicians, priests, poets, and a host of other people profess to know what is good, true, holy, and beautiful, but when Socrates questions them, they are revealed to be foolish rather than wise. Please have the dialogue read in advance (about 20 pages long) and we will discuss it together. A good translation by G.M.A. Grube can be viewed in a collection available for download HERE - https://www.box.com/s/36jjx8l0z6a15g4kylfh6dxq45ek4axl "
December 10, Monday, 7pm-10pm. Free. Toronto Zero Waste Meetup - How to live plastic free. Quote: "In a world where plastic packaging is hard to avoid, how do we navigate without plastic? This will be a discussion group to spark up creative ideas on how we can incorporate a plastic free lifestyle into our current way of consuming. Members are encouraged to bring along an item that helps them live a plastic free lifestyle to share with the group. There will be tea and light snacks provided." Location: Reiki with Kaya, 207 Mcrae Dr, Toronto. December 13, Thursday, 6:30pm-9pm. Free. Toronto Philosophy Meetup: Kant: Groundwork of the Metaphysics of Morals (Week 3)). Quote: "Week 3 (*CURRENT*) - Section III ("Transition from the metaphysics of morals to the critique of pure practical reason") A good translation of the text is available in a volume that can be downloaded HERE - http://pdf.to/bookinfo/practical-philosophy_2.pdf (The Groundwork starts on page 37.) Please read the text in advance of our discussion — the reading for each week is about 25 pages." December 14, 2018, Friday, 7pm-10am. $5/PYOW. Toronto Vegan Meetup: CashFlow 101 Boardgame Social for Vegans. Location: Cosmic Treats, 207 Augusta Ave, Toronto, ON. December 16, 2018, Sunday, 2pm. Free. Lost River Walk - Solstice Storytelling Walk. Led by Jon Johnson, Reno King, Darlene King, Sarena Johnson, Ambika Tenneti. Start: Watershed Consciousness Wall, Evergreen Brickworks. Quote: "Join the Rivers Rising Ambassadors and Jon Johnson of First Story for an special Solstice walk and exploration of Mud Creek Evergreen, the most beautiful restoration site in Toronto. 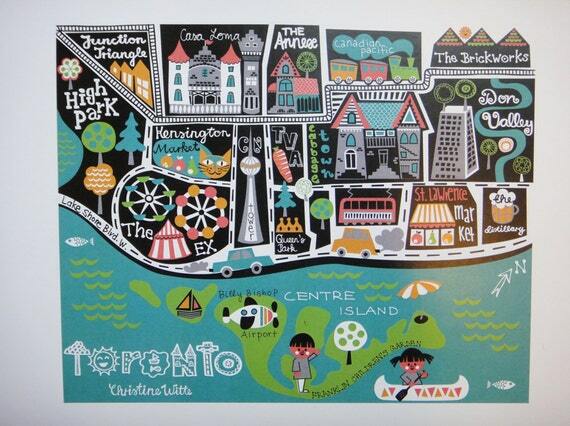 Come early or stay late to enjoy the festive village.." Toronto Green Community - Lost River Walks: 416-781-7663, info(at)torontogreen.ca, http://www.torontogreen.ca, http://www.lostrivers.ca/WalkSchd.htm . December 20, Thursday, 6:30pm-9pm. Free. Toronto Philosophy Meetup: Nietzsche: Beyond Good and Evil (Week 1). Quote: "Friedrich Nietzsche's Beyond Good and Evil, first published in 1886, is a landmark work of modern philosophy and a key precursor to existential and postmodern ideas of the twentieth century. The work dramatically rejects what it takes to be the tradition of Western culture and thought, unleashing a radical new philosophical sensibility in which neither truth nor morality are absolutes, and where good and evil are not opposites but counterparts stemming from the same elemental desires. With wit and energy, Nietzsche turns from his critique of philosophy to what he regards as an affirmative approach to life that fearlessly confronts the perspectival nature of knowledge and demands that the individual imposes his own will to power upon the world. *** This is the first meetup of what is projected to be a five part series on Nietzsche's Beyond Good and Evil: Prelude to a Philosophy of the Future. This week we will be discussing the following sections of the text: — "Preface" — "Part 1: On the prejudices of the philosophers" — "Part 2: The free spirit" A highly-regarded translation of the text published by Cambridge University Press can be viewed and downloaded HERE - http://pdf.to/bookinfo/nietzsche-beyond-good-and-evil-prelude-to-a-philosophy-of-the-future.pdf"
December 20, 2018, Thursday, 7pm-9pm. PYOW. TVA Toronto Dinner Social Group: Dinner. Location: Vegetarian Haven, 17 Baldwin St.
December 21, Friday, 6pm-8pm. RSVP Required. PYOW. TVA's Vegetarians of High Park - Dinner at The Goods. Location: The Goods, 279 Roncesvalles Ave, five blocks south of Howard Park Ave, between Geoffrey St and Westminster Ave.
Quote: "Come check out the new all-vegan restaurant The Goods (279 Roncesvalles). They have delicious bowls, smoothies, and salads. RSVP required by December 18th." December 27, Thursday, 6:30pm-9pm. Free. Toronto Philosophy Meetup: Thomas Christiano: "An Argument for Democratic Equality". Quote: "What is valuable about democracy and what are the limits of this value? These are among the most important questions in political philosophy today. For when there are disagreements about the path a society should take, some entity or entities must decide what to do. This fact is at the core of most of the problems we face as members of political communities, for we share cultural, economic, and legal institutions with many other people, and encounter pervasive conflicts of interests with our fellow human beings and ubiquitous and deep disagreements with them on how to shape these institutions. These disagreements range over matters of human rights, social and economic justice, the common good, and the best means for achieving these aims. Democracy provides a solution to the problem of who may participate in decision-making about matters having profound effects on the people of a society under circumstances of disagreement and conflict. Philosophers have explored the legitimate shape, scope, and limits of democratic rule and have provided differing views on the value of democracy. *** This is the first meetup of a new ongoing series on perspectives on democracy. This week we will discuss the essay "An Argument for Democratic Equality" by Thomas Christiano, a professor of philosophy and law at the University of Arizona. In it, Christiano argues that democratic decision-making is intrinsically just on the grounds that it uniquely embodies the public realization of equality of interests among citizens. In the establishment of law and public policy we must treat persons as equals in ways they can see are treating them as equals. The essay can be found on pages 39 to 68 of the anthology Philosophy and Democracy, which can be viewed and downloaded HERE - http://pdf.to/bookinfo/philosophy-and-democracy-an-anthology_1.pdf ... Please read as much of the essay as possible in advance of our discussion. The paper is is quite long and appears to be fairly involved so you may want to get started early. (The essay was originally published in 1996 in Thomas Christiano's book The Rule of the Many: Fundamental Issues in Democratic Theory. For more information about the author see his webpage: http://www.u.arizona.edu/~thomasc/cv.html)"
January 20, 2019, Sunday, 2pm. Free. Lost River Walk - Midwinter in Rosedale Ravine. Led by Helen Mills and John Wilson. Start: Toronto Reference Library, Yonge St and Asquith. Quote: "Part of a series of walks on the Core Circle, a blue-green liminal zone around the city’s downtown Core. This is a circular walk of about 2 km, meeting and ending at Toronto Reference Library, Yonge and Asquith. We will explore the ravine lands of Castle Frank Brook along Rosedale Valley Road and the network of park paths. We will adjust our route for the midwinter conditions and end with a warm drink at the Reference Library. Walk for about 2 km." Toronto Green Community - Lost River Walks: 416-781-7663, info(at)torontogreen.ca, http://www.torontogreen.ca, http://www.lostrivers.ca/WalkSchd.htm . February 17, 2019, Sunday, 2pm. Free. Lost River Walk - Davenport Road and the Tollkeeper’s Cottage. Led by Helen Mills and John Wilson. Start: Dupont St and Davenport Rd. Quote: "Part of a series of walks on the Core Circle, a blue-green liminal zone around the city’s downtown Core. This linear walk begins at Dupont and Davenport and ends with a warm welcome at the Tollkeeper’s Cottage, the restored heritage building from the 1830s at Bathurst and Davenport. The walk traces the shoreline of glacial Lake Iroquois below Casa Loma for about 2 km on level pavement." Toronto Green Community - Lost River Walks: 416-781-7663, info(at)torontogreen.ca, http://www.torontogreen.ca, http://www.lostrivers.ca/WalkSchd.htm . Page views May1-Aug31 2016: 433. Unique Visitors: 2016: Sep:60; Oct:78, Nov:59, Dec:37. 2017: Jan:54; Feb:55; Mar:61, Apr:56, May:55, Jun:67, Nov2018:66. Hits 2017: Jul:145, Aug:101, Sep:165, Oct:130, Nov:112, Dec:144. Hits 2018: Jan:103, Feb:76, March:100, April:110, May:98, June:95, July:141, Aug:107, Sept:102, Oct:149.